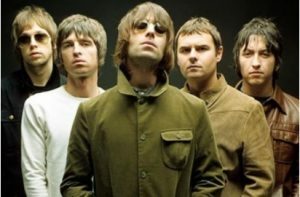 In the 1990s, bands were given ludicrous advances to record albums, with bands like Oasis pocketing million dollar advances that were non-recoupable. These days, even if you can convince a label to sign your band, the chances they will even give you a recoupable advance is pretty slim – unless you’re an insanely poppy act who’re willing to sign away your souls in a 360 deal with a major label. While bands and musical artists have had a tough time raising the money to tour, promote their music and give themselves some respite from the necessary and often grueling day job in recent years, the paradigm is finally shifting towards a model that rewards pro-active grass roots individuals and spurns the old model of leaving it up to the big wigs at the label. If you’re from the west coast of Canada, you probably know that famous acts like Nelly Furtado and Hot Hot Heat came from Victoria. While these acts were fortunate enough to cash in on the last gasp of the old system, it may be difficult to re-invent themselves in the current climate of the music industry. The door is now wide open for young, hungry musicians to take advantage of the new system and jumpstart their careers by signing up for music lessons in Victoria BC and putting together and act. The Canadian west coast music scene is one of the most vibrant in North America, with a great market and venues that offer solid guarantees. The tale of how music has been sold, stolen and shared in the past twenty years is extremely complicated and messy, with lawsuits, ruined careers and massive declines in traditional sales. And while that whole story is fascinating, what’s much more fun to think about is the result of this epic transformation: musicians, now more-so than ever, have direct access to the tools they need to launch and sustain a career. Chance the Rapper is, in a sense, a perfect poster boy for the new music industry under the streaming paradigm: his last album, Coloring Book, was not released on a label, but simply streamed on all the major digital services. It was nominated for seven Grammys and reached number eight on the US billboard charts. By taking full advantage of the social media platform and reaching out to his fans, Chance has helped foster a sense of community and positive energy in South Chicago, where he grew up. His philanthropic work and his many collaborations are a great example of the way in which innovative young upstarts can do something really constructive and inspiring in the changing mode of music sales. One thing that is certain is that touring and merchandising is a huge part of becoming profitable as a music act in this day and age. Unless you’re like Drake and garner 500,000 streams an hour on Spotify, the money from streaming will likely not cover your rent and groceries. The act of touring, of building a dedicated fan base who you can sell vinyl and shirts to directly at shows is increasingly become the bootstrap by which young artists are pulling themselves up. The Michigan based band, Vulfpeck, pulled a sneaky move where they tricked Spotify into paying them out $20,000 by encouraging fans to listen to a silent “Sleepify” playlist: a devious trick, but representative of the innovation in the air in the new music paradigm.